Getting a reluctant spouse to go to marriage counseling is usually counterproductive. There is a much better approach that you can use until he or she is ready. Getting a reluctant spouse to go to marriage counseling may not be the best way to work on your marriage. People who want to go to marriage counseling often feel stuck if their spouse refuses to go. This does not spell doom for your marriage and it doesn’t necessarily mean that your spouse doesn’t want improvement also. The top reasons spouses don’t want to go to marriage counseling are: 1) Fear that the counselor will side with their spouse against them; 2) Refusal to admit that there are any relationship problems (denial); and 3) Because they see marriage problems as entirely their spouses’s fault and responsibility (blame). Notice that none of these reasons are from a lack of desire for improvement. There is no need for any of these reasons to discourage you, if your spouse doesn’t want to go to marriage counseling. Marriage counseling is often used as a last ditch effort for couples who are getting close to divorce, but that is not the best purpose of marriage counseling, nor is it the most effective one. Marriage counseling is best used earlier on, when a husband and wife still love each other deeply and are both distressed about what is happening to their relationship. Couples like this usually sit side by side in therapy, holding hands, and supporting each other as they pour out their heart to the therapist. In my years as a marriage counselor, I saw many such couples. The outcome of this kind of cooperative work was very good. Invariably, I would see from my office window, couples hugging in the parking lot after the session. For couples who enter therapy with an agenda of making the therapy fail, there is a whole different story. Despite having successfully helped many couples as a marriage counselor, there are times now when I recommend couples not to go to marriage counseling. I learned a long time ago that the majority of marriage counselors are not pro-marriage, particularly if they don’t have Christian values. 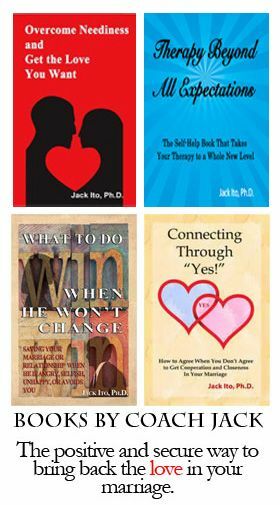 They apply a few techniques that work well with cooperative couples, such as planned dating, positive communication techniques, and reflective listening. They spend a great deal of time going over the history of problems in the marriage and work to get each spouse to understand where the other is coming from. Those are great methods for couples who are cooperative and caring, but if one spouse has lost interest in the marriage, these methods often fail. When that happens, one of three things typically happens: 1) counseling continues weekly, but without progress; 2) the uncaring spouse complains about the therapist and the couple quits counseling; or 3) the counselor shifts to helping the couple understand that they are “incompatible,” and that the best solution is a peaceful divorce. Marriage counseling works better for some situations than others. You need to consider the impact that marriage counseling is likely to have on your marriage. If your spouse does not want to go, then he or she is likely to sabotage marriage counseling by presenting a false image, refusing to follow through with counseling homework, or working to convince the therapist that your marriage can’t be fixed. If your spouse wants out of your marriage, it’s better to wait until he or she wants to reconcile before going to marriage counseling. After your spouse becomes interested in reconciling and working on your marriage, he or she will cooperate with marriage counseling in every way and improvement should be fairly rapid. If your spouse if refusing marriage counseling now–especially if he or she is not interested in saving your marriage–your energy is better spent helping him or her to become interested in your marriage again. As a marriage coach, the majority of my work is with people who have a spouse that has lost interest in their marriage or who is doing severe damage to the marriage. Sometimes their spouses have said that they could never love them again and are often actively searching for someone else. Any attempts to convince such partners to go to marriage counseling would be met with refusal. And trying to convince them to work on the marriage, even without professional help, is met with a great deal of resistance and rejection. If not for reconciliation coaching, most of these people would have no way to interest their spouse in the relationship. 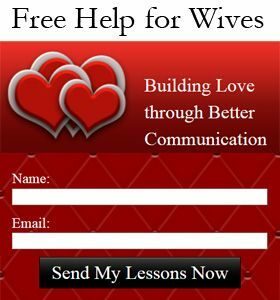 Reconciliation coaching helps one spouse to re-attract and emotionally connect with the other spouse. Once this is done, they can continue with couple’s coaching or marriage counseling–depending on whether they want a more skills based approach or not. This is essential, so that the original problems in the marriage can be worked out cooperatively and productively. People who have these kinds of spouses have learned that their spouse will not work on marriage problems at home. This also turns out to be the case in marriage counseling. For these types of problems, the most helpful approach is to change the way people respond to their spouse’s anger, avoidance, or withdrawal. Anger, avoidance, and withdrawal are all types of control that make other people feel helpless and frustrated. When I help my clients to change the way they respond to these situations, they are no longer controlled by them. The other, very important, piece of this is that the relationship needs to be promoted at the same time. It’s one thing to not be manipulated by someone’s anger, for example. It’s quite another to help that spouse to feel loved and important at the same time. But, that’s what is needed to end the problem behavior while improving the marriage. When working without professional help, people often get so focused on ending the problem that they damage their marriage more in the process. Coaching for people with difficult spouses never uses destructive methods to improve a relationship. You do need your spouse’s help to improve your relationship. But, your spouse does not have to be the one to start that process. In fact, your spouse may not be motivated or emotionally able to start the rebuilding process with you. 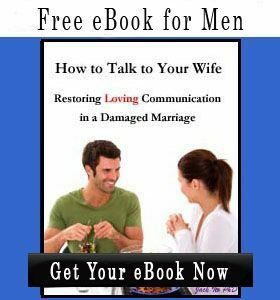 You may need to learn how to help your spouse feel good about talking with you and being with you. You also will probably need to help your spouse get to the point of trusting you again. I assure you that when you learn to do that, your spouse’s feelings of love for you will be rekindled. Let your spouse’s rejection of you be a signal that it is time for you to work on rebuilding love inside your spouse rather than signal the end of your marriage. And, if you are not being rejected, but you are being treated badly, it is also time to learn how to help your spouse get more love from you. As much as your spouse may blame you, he or she does not want to have a bad relationship. I have never met anyone who wanted to have a bad relationship. People want to feel valued and loved. 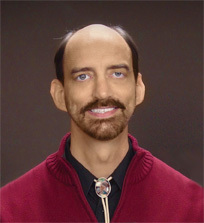 Marriage counseling or not, you can make that happen with the right help.